Modern design never stops getting its popularity. But someone may want to experience a different feeling. 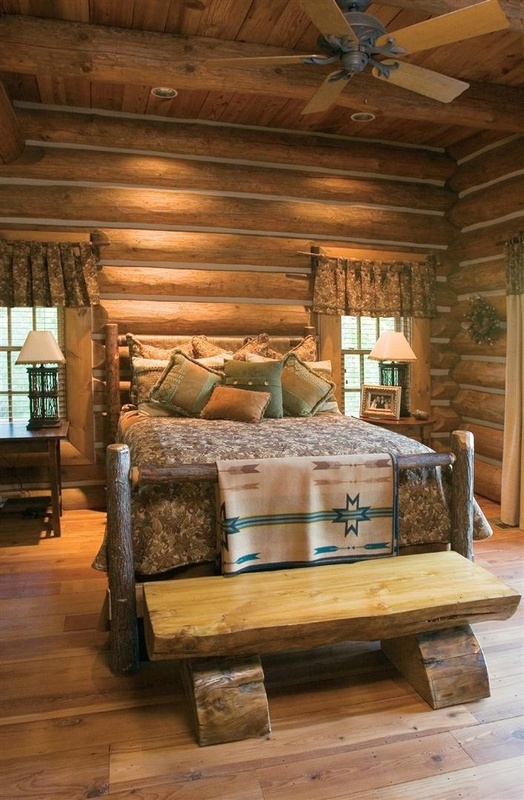 Rustic bedroom ideas are one that should be considered. Warm, natural, and inviting atmosphere is what rustic interior design promises you. Its quality would be fit best to be applied to bedroom ideas. Are you familiar enough with a rustic concept? Its design depends a lot on the material used for the ceiling, floor, furniture, and even on the detail decorations. Neutral look is always the goal in the end. Achieving it is not easy, but nothing is impossible. 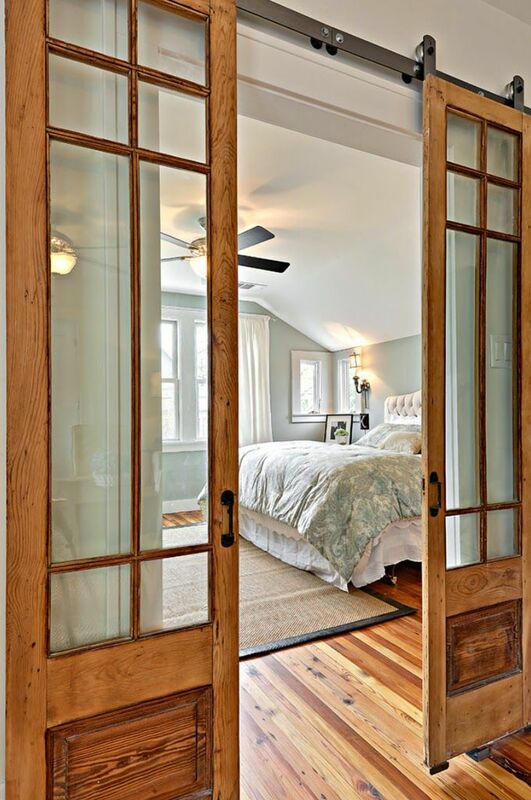 Some of the steps to create rustic bedroom below should help you. The basic step to try is applying a lot of woods to the room. Woods is the only material that could bring raw and natural ambiance perfectly. Use reclaimed wood for the floor, wall, and ceiling. If it is possible, use it for the bed frame, table sides, fan, and chair to strengthen the concept. Be careful in choosing the color for the bedroom. The bed sheet, pillow cover, blanket, and the other stuff in the room must content neutral tones. Dark brown, green, cream, blue, and grey are highly suggested to use. To hide the monotonous of wood material in all parts, you could always decorate the wall with photo frames, a mirror, or a garland. In case you cannot install the wooden wall, you could still get warm and natural sense by using bricks. It should be unusually exposed bricks. The rawer, the more natural it is. The bed should not have to be a frame bed. Otherwise, the simple one with some cozy pillows like this also will not be a problem. The reddish rug on the floor and the throw blanket definitely set the tone. You could always put wooden furniture in this room. Use it for window frame and table could be a good idea. Natural light from the outside is going to be perfect lighting for the day. For the night, choose a lamp that has a golden-brown color that could make the room warm. One unique element you could pick from barn house decoration is the rolling wood barn door. The special characteristic of the door adds cool when it is combined with the wood floor. Even if you have a modern style bedroom, these two elements are enough to create rustic sense to your bedroom. Finally, you could have a modern rustic bedroom. 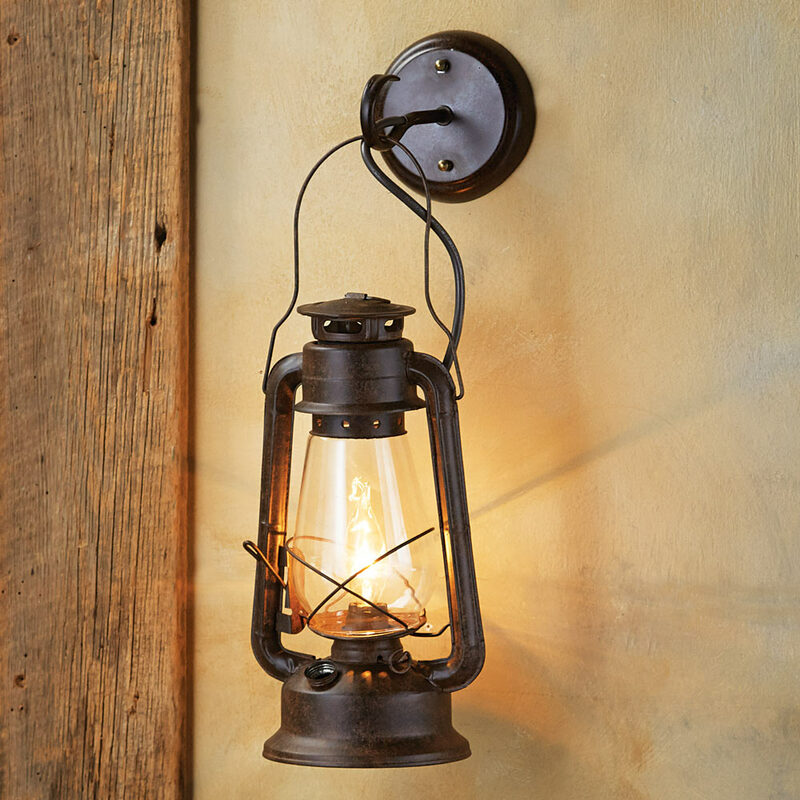 Lighting plays an important role in rustic bedroom ideas. 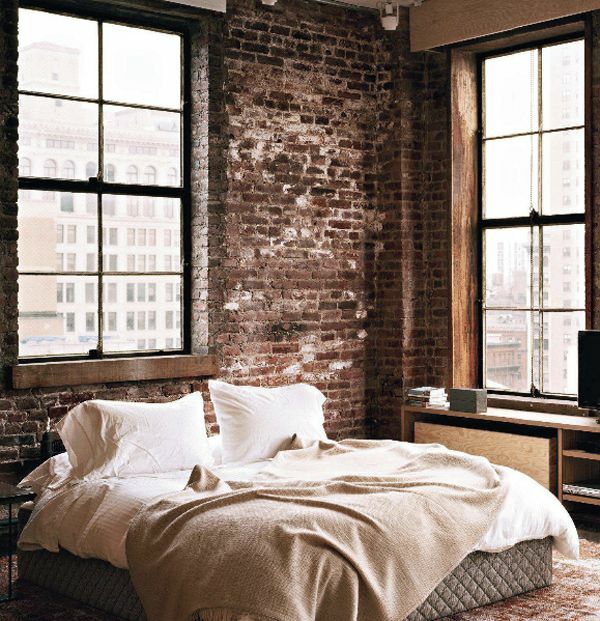 The light for the room may not too bright as it could take away the warm atmosphere that a rustic bedroom should have. Rustic sconce light or candle would be the best option since they produce natural golden light that could definitely bring warmth and coziness to every corner of the bedroom. There are many sconce lights made from wood but if you prefer the metal one, avoid the light metal because it would not match with the concept. A mirror is added to the bedroom decoration for some purposes. Besides its main function to see your reflection, it helps a lot like a trick to create larger space. 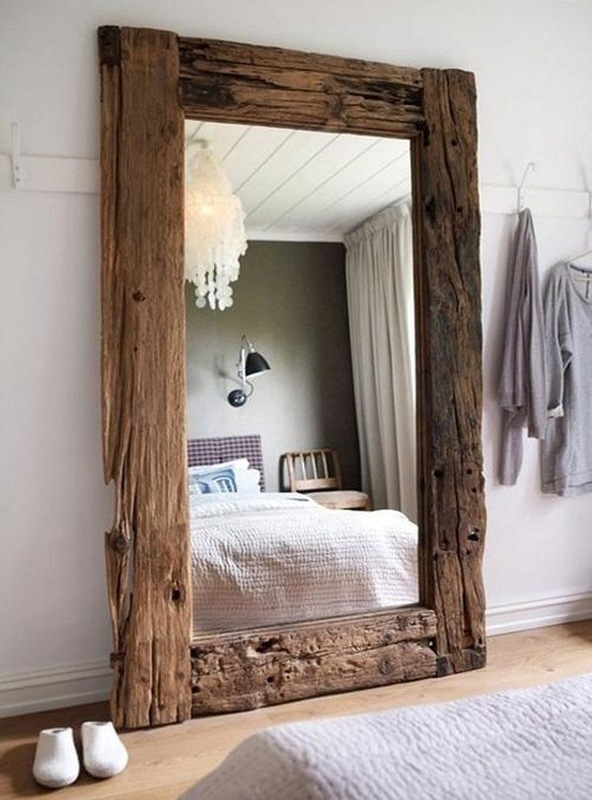 If you have a small-sized bedroom, try to add a mirror to it. 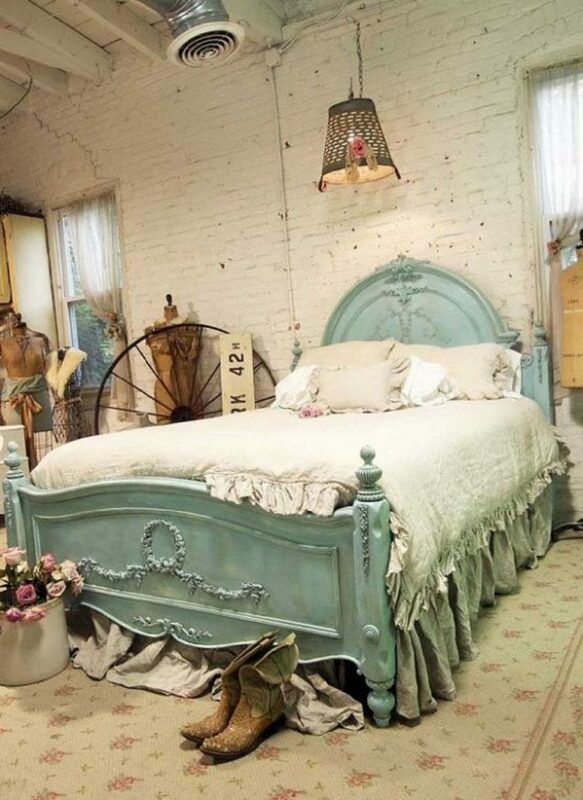 There is no doubt that rustic bedroom ideas need rustic decoration too. Remember to leave the wood in raw like this. Do not hesitate to lay the mirror on the wood floor. It is a perfect way to get a reflection of larger space of the room. Moreover, it could help the floor to get its rustic concept. 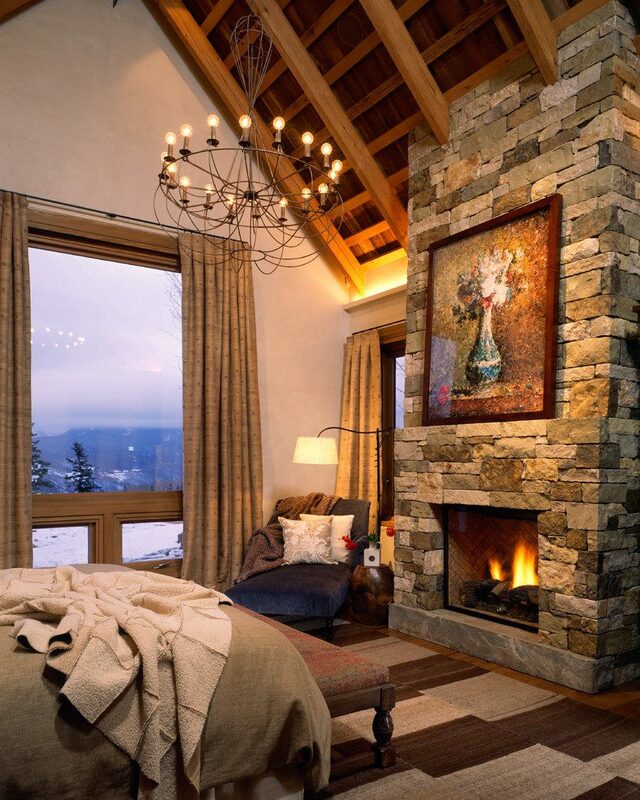 To make the bedroom warm and creating a high rustic look, a fireplace is an answer. The fireplace used for a rustic bedroom is usually one that is framed with stone. The earthy color of the stone is the perfect material to meet the natural goal. Swipe away the pale of the blank stone fireplace with a painting in a wood frame. Build a large glasses window and keep the curtain open to let the nature view enter the room. The rug on the wood floor, the throw blanket on the bed, and the rustic chandelier hanging on the wood ceiling could add the character into this room. Are these rustic bedroom ideas steal your heart? Would you have one for your next renovation? Be sure to adapt the idea that fit your budget. If using lots of wood to your room seems impossible, you could just use your ordinary wall now. As a trick, you may decorate the wall with rustic decorations. In case your floor is also not a wood floor, put woven wall rug or faux leather rug as a replacement. Where there is a will, there is also a way.